Olzdive Sep 30 2017 2:59 am Where is he now? Amy Sep 04 2015 4:03 am Kassy is a considerate man as always. He has been kept updating his Weibo for almost 2 years. He took to photography recently and often shared some photos he took with us in his Weibo. He even posted his selfie last week(altought we didn't know is it a selfie or taken by his girlfriend). There are many fans of hom in China. We hope he can come again! Amy Sep 04 2015 3:44 am Kassy is my chaming white! ユス Jan 27 2015 12:00 pm Sorry guys... I really want to learn about kassy but no such information in the internet or Wikipedia. I want to know about his family background, his past life before became popular and is he have children with his ex wife?.. such things.. for a new fan like me, he is so mysterious. ユス Jan 27 2015 11:55 am I wish you see him again active in japan drama or movie.. really wish for it. 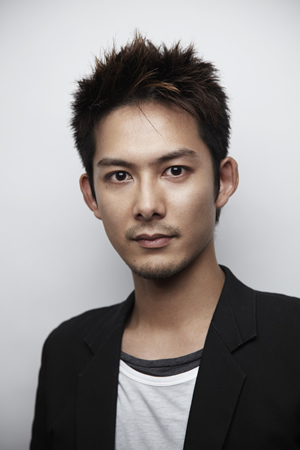 He is a very good actor and it is sad Not be able see him around in japan entertainment industry. Wish all the best for you kassy san. l23V1V3D Oct 28 2011 10:44 pm Takashi Kashiwabara definitely has got talent in acting. I truly hope to see him in more dramas/movies!!! idha Jun 22 2011 6:36 am Watashi wa anata o aishite....I LOVE U SOOO MUCCCCHHHH!!! I❤Kassy Jun 06 2011 1:20 pm I miss the cute looking kassy was. i fell in love with him in Itazura na kiss! he was really cute there especially when he look serious, although i was bit shocked when he kiss a guy in the movie called "another heaven". i wasn't able to finish due to kassy kissing a guy but at least he's cuter when he sing twist and shout. Rien Oct 14 2010 8:40 am Hai. Takashi wa hansamu no otoko. I luv him so much. javuu Oct 05 2010 8:06 am luph soo much!! Han Xue Sep 08 2010 1:57 am I know Takashi from 10 years before, then i was a student in the middle school, now i am married, but i will support him for ever no matter how old i am and where i am, there is a big group of people who supporting takashi all the times in china and most of them are with the same age as me , and we all hope Takashi could have more oppertunity and cooperation in chinese film and add, i hope i could c him someday. Kassyluver May 14 2009 11:03 pm I'm wondering that there is/isn't Kassy Fans Club in Indonesia?? ?If yes, how can I become the member?? ?